Welcome to the 2nd Minnesota Battery! 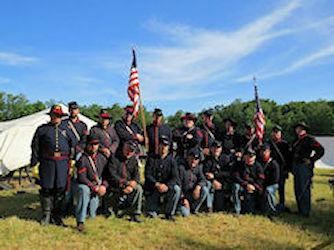 Step back through time to learn what Minnesota soldiers and their families experienced during the Civil War. Many hours of meticulous research has given these re-enactors a wealth of knowledge to draw on as they share the trials and triumphs of Minnesota's military families of the 1860s. 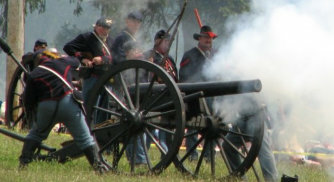 The men and women of the Second Battery are dedicated to education and the preservation of history, offering learning opportunities to schools, organizations, and the public. Start your journey back to the 1860s by exploring the history of the current reenacting Battery, their special gravestone project, the history of the real 1862 Battery, its men (and their laundress), reading lists, and much more on these pages.